Eduardo de Góes “Edu” Lobo (born August 29, 1943) is a Brazilian singer, guitarist, and composer. He achieved fame in the 1960s as part of the bossa nova movement. 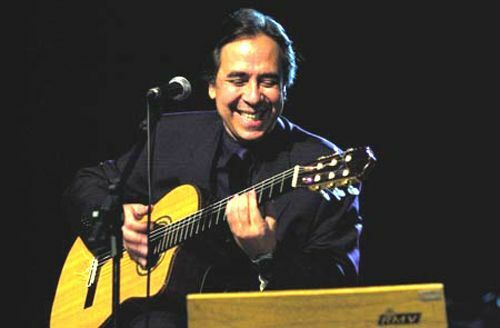 His compositions include the world-famous Upa Neguinho (with Gianfrancesco Guarnieri), Pra Dizer Adeus (with Torquato Neto) (also known in its English version as “To say goodbye”), Choro Bandido, A história de Lily Braun, Beatriz (the latter three songs with Chico Buarque), Arrastão and Canto triste (both with Vinicius de Moraes), and Ponteio (with Capinam). Ponteio won best song at the 3rd Festival de Música Popular Brasileira in the recording by Quarteto Novo in 1967. He has worked with, and his songs have been covered by artists like Toots Thielemans, Marcos Valle, Elis Regina, Sylvia Telles, Sergio Mendes, Antonio Carlos Jobim, Milton Nascimento, Maria Bethania, Gilberto Gil, Gal Costa, Caetano Veloso, Monica Salmaso, Sarah Vaughan, Earth Wind & Fire, Caterina Valente and others.